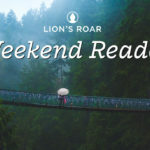 Each Friday, we share three topical longreads in our Weekend Reader newsletter. This week, Lion’s Roar editor-in-chief Melvin McLeod takes an honest look at so-called “convert” Buddhism. 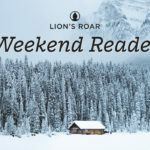 Each Friday, we share three topical longreads in our Weekend Reader newsletter. 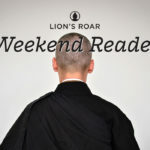 This week, Lion’s Roar magazine’s art director Megumi Yoshida reflects on the early influence of Buddhism in her life. 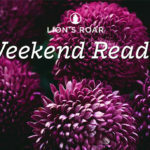 Each Friday, we share three topical longreads in our Weekend Reader newsletter. 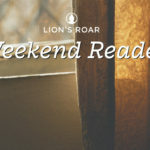 This week, LionsRoar.com’s editor Sam Littlefair explores walls, both literal and metaphorical. 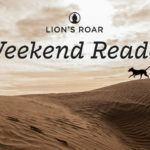 Each Friday, we share three topical longreads in our Weekend Reader newsletter. 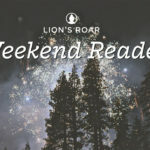 This week, LionsRoar.com’s editor Sam Littlefair reflects on our top Weekend Readers of the year. Each Friday, we share three topical longreads in our Weekend Reader newsletter. 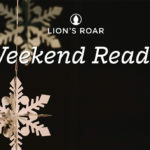 This week, Lion’s Roar magazine’s associate editor Lindsay Kyte shares her perspective on the meaning of the holiday season. Each Friday, we share three topical longreads in our Weekend Reader newsletter. This week, Lion’s Roar magazine’s editorial assistant Haleigh Atwood explores the real meaning of kindness. Each Friday, we share three topical longreads in our Weekend Reader newsletter. This week, Buddhadharma’s editor Tynette Deveaux looks at Buddhist perspectives on tackling climate change. 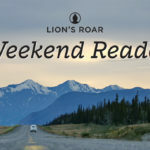 Each Friday, we share three topical longreads in our Weekend Reader newsletter. 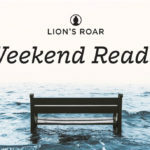 This week, LionsRoar.com’s Rod Meade Sperry shares the lessons he’s learned through the years from loving and losing pets.